I love the concept of many mineral makeup lines, but many of the smaller companies are unable to offer the color selection you'd expect in a drugstore and department store. Not so with Alima Pure. I have raved about their foundation selection in the past, but they also have a great selection of eye colors as well, particularly in their Luminous Shimmer shades. I love how there is a huge range of shades, from demure to bold. Only a pro who works in high fashion shoots might feel limited. The bolder colors are excellent for consumers, as they are very wearable shades like deep jewel tones. The colors tend to come out more muted when applied dry, but they can be applied wet for a more intense look. When applied wet, with a small angled brush, they can also be used like eyeliners. The sheer shades, such as Venus, would also work for highlighters. As with most eyeshadows, I recommend using a primer for the most staying power. The shimmer portion of the shadows lasted a long time, but the pigments seemed to fade throughout the day. A wet application is also cleanest, and sometimes the shimmers tend to migrate, especially when using a fluffy brush. These shadows are gentle, rating a low 2 on EWG's Skin Deep database. 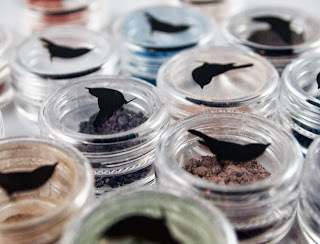 If you're looking for gentle mineral eyeshadow in a wide range of colors, Alima Pure has some great options.